We have been asked to raise the funds for 16 more water cisterns for the Marit Women’s Group of younger widows who are also raising approximately 74 orphans too. Can your company, group, church, school, book club, hiking group sponsor one water tank? $480. US will buy one 5,000 water cistern. Total cost of this entire project $7,680. 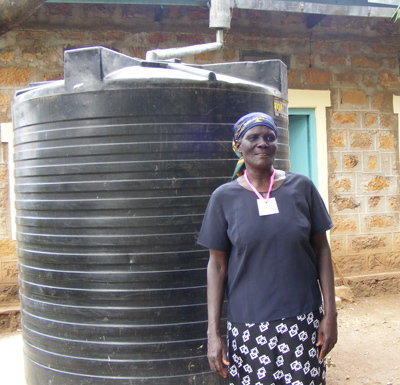 The Newman Center in St.Cloud has sponsored one water tank. We now need 15 more. Help us reach our goal. Project 4 is currently in progress for 2013. It is assisting the Oriang Women’s Pottery Shop. The pottery shop is able to generate income for various projects the women might need, like sponsorship of orphans in school, food, supplies.